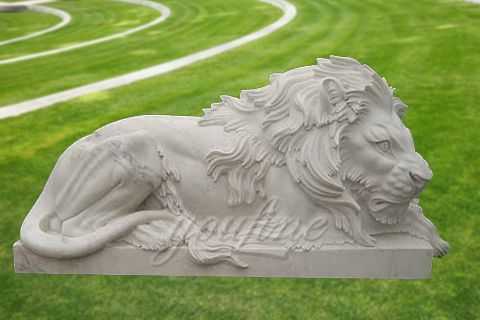 Outdoor garden stone marble lion statue for front porch, An awesome display of strength and power, this majestic statue of the king of beasts will keep guard over your estate. Beautifully hand carved from pristine white marble. 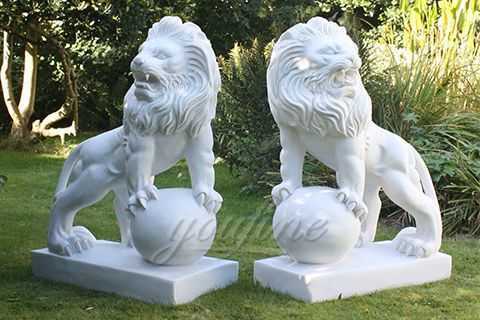 Get a pair of stone marble lion statue for the decoration of your home or garden, bespoke design and size is available. Contact us now! Size: 48 Inches or Customized Size. Garden stone marble lion statue, an awesome display of strength and power, this majestic statue of the king of beasts will keep guard over your estate. Beautifully hand carved from pristine white marble. 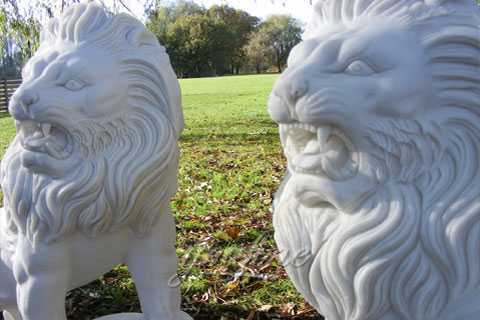 These Spotless Marble Lion Statue are crafted and carved by very experienced artisans due to which these moorties are widely demanded and liked by all. 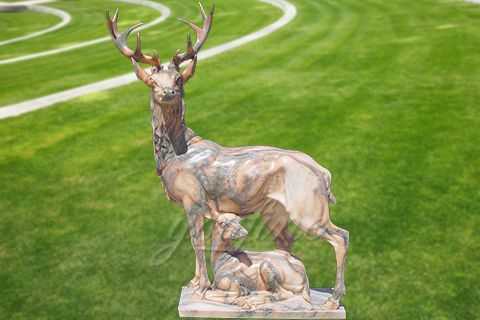 These marble stone statues are available in various elegant designs and patterns. 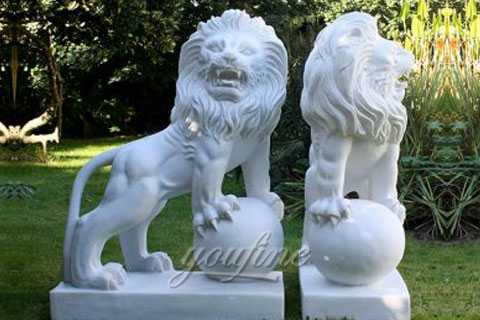 Garden stone marble lion statue offered are suitable for self decorative use as well as a gift item for family and friends. Featuring smooth marble crafted finish, these sculpture choices are also demanded for its unique appearance and fine sheen finish. You Fine also could make many other animal statues, like lion statue, tiger sculpture, horse sculpture, crane,moose statue and elephants sculpture ect. Focus on hand-carving animal sculptures more than 30 years. 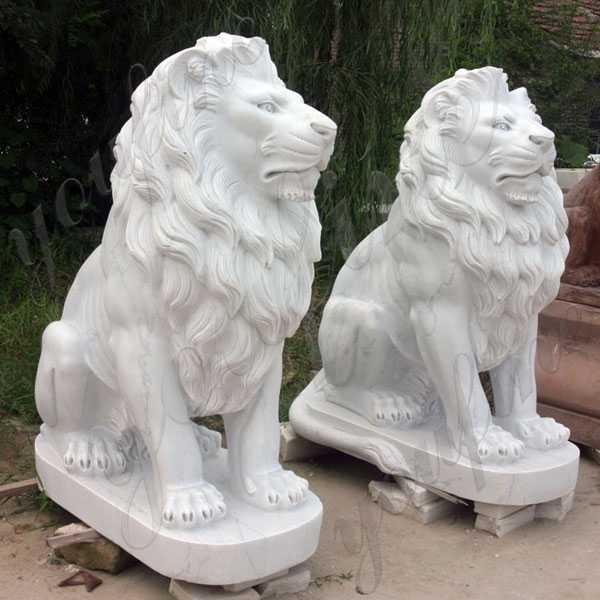 White Marble Lion Statue being one of the most renowned and top level company in this profession of manufacturing and supplying several kinds of supreme quality statues and sculptures, we have also included these marble animal sculptures. This helps us provide our clientele a much wider range of selections and choices so that they can satisfy their desires to its maximum. 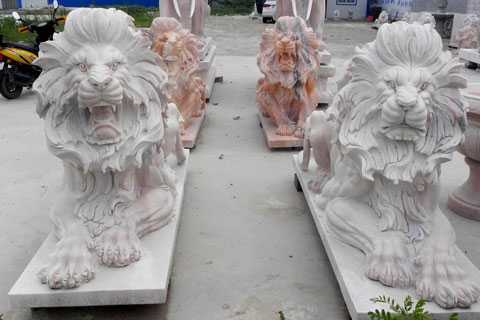 All of Garden stone marble lion statue has our 30-years quality guarantee, which means, if you find any unusual problem with your purchased sculpture, you can quickly approach You Fine for the necessary solution for free. In severe cases, money will be given back in less than 7 days. Our innovate range of Walking Lion Statues are manufactured using state-of-the-art technology. Finely carved, these animal figures are fabricated using superior quality stones, which are procured from leading vendors. 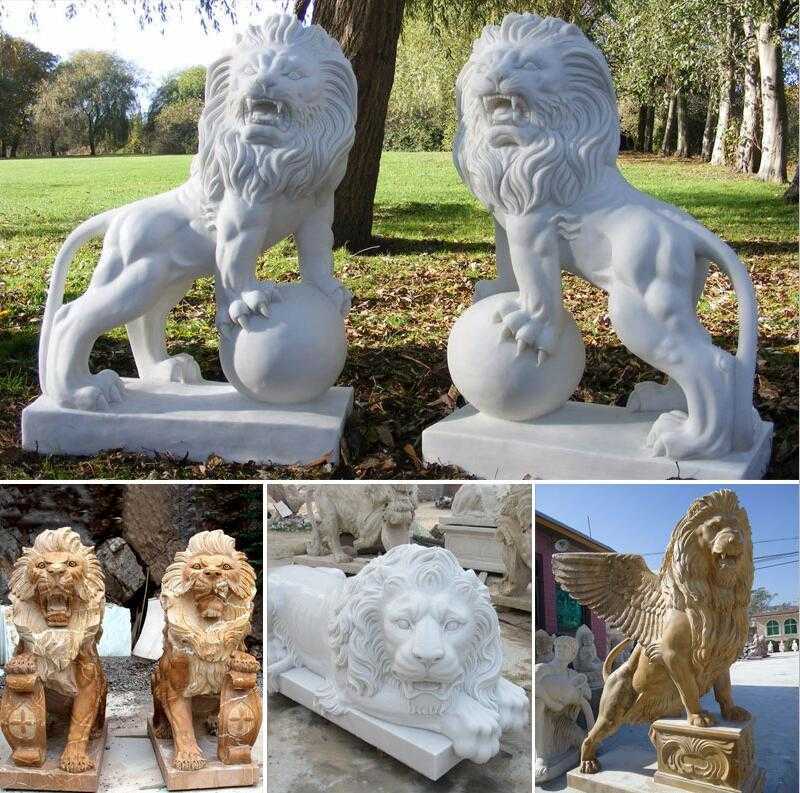 Get a pair of Garden stone marble lion statue for the decoration of your home or garden, bespoke design and size is available. Contact us now!